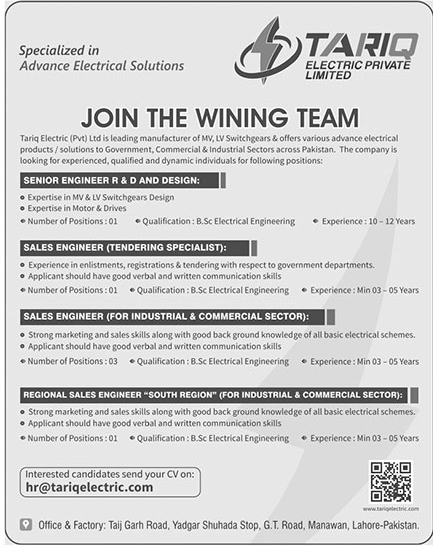 Tariq Electric (Pvt.) Limited Lahore Punjab. Experience: 10 - 12 Years. Experience: 03 - 05 Years. G.T Road, Manawan, Lahore, Pakistan.